I would like to see a Hunt Boss Event here. This is for everyone who asks about boss summoning events. There will not be any boss events on our server. Our server did hold a few boss summoning events in the past. 1.) The Gm is only able to spawn bosses at one area on this server instead of spread out. So the players can place skills like scorching earth making it unfair. 2.) The server becomes unstable. Even those with great connection have a hard time logging in. If you have a lagy connection or ever experience Dcs at all on our server guess what your out of luck you wont be able to login during the event. 3.) Move map fails. Due to the players rushing into the fields where the bosses are summons and the bosses being summons only a small amount of players can access it into the rooms the bosses are to be summoned. 4.) After the event is over the gm would give away prizes. The players would abuse this. They would bring alts. This even furthered the move map dcs. 5.) Overall the servers host doesn't have the power to withstand the capacity of a boss summoning event. I would like to suggest Customised Blood Shield to celebrate the 4th of july in next patch. Invisible Guardian and Pet, a lot players hate that they have a being that follow them none stop and cover them and because of that they don't get guardian. or make any option that will get away the guardian for limited time until its summoning. in my option it would be really amazing and would give to players to get another reason to get another guardian. Can I suggest web temper for Universal Trickster Cape 360? It looks like Flapping Demon Wings 260 can obtain higher stats than the trickster Cape 360. Also for my Wings of Thor it says it increases 20% movement speed but I don't really see a difference. Can this be fixed? Can the "Super Driller 300" Increase the Drill rate(work per 2 seconds), i hope it can drill at dangerous places and more efficiently dew to it is high automatic drilling pet . I want everyone to keep in mind some suggestions can't be done due to hard coding and being understaffed. We have only one coder who works for the server. Some things can't be done because we do not have the files or the ability to change those files. I promise you we are not ignoring your suggestions if they don't happen. Sometimes suggestions just cant be done, however, we do try each month to see if these suggestions can be made possible. I am asking everyone to keep in mind a suggestion is a suggestion. If we do it or not use a suggestion please do not get upset. There are usually several variables that a single suggestion isn't made possible. As for suggestions in regards to events. We also are not ignoring these. Good events need to be staged at different times a year. This way the server stays afloat. If we sold everything and gave the best events every month the server wouldn't be able to pay for its services because the players wouldn't need to donate. The server would close due to costs. Hope this helps answer some players questions in regards to suggestions. 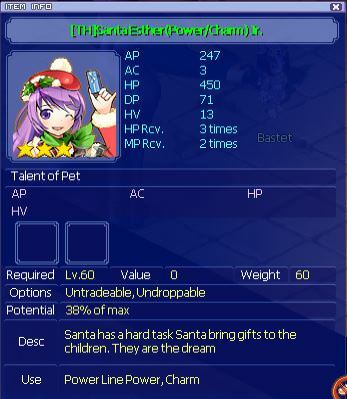 ( [TH]Santa Esther(Power/Charm) Jr. ) (Lvl.60 | Don't know about the other levels) DC when pet is right clicked. Game Suggestion: Implementing 24 hour drilling time capability. Reasoning: There are many players who work and have circumstances that only give them time to play 1 day every now and then. This gives these players an outlet to use the driller pets on there free time. Personal shop? or just in the normal inventory? 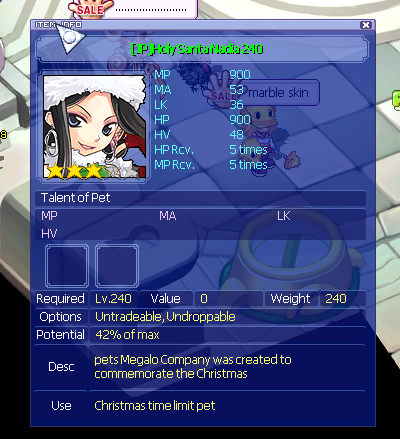 Is it just these 2 pets? Both in inventory and if i put it on ah for sell. I've been thinking about this for a while, but is there any way to make the 4G equips a little bit better? 40 eggs for one piece is expensive, although you can buy the eggs or the cards off other players for a lot cheaper than burning 200k. 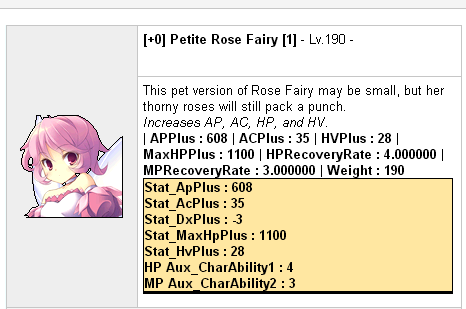 The stats on the equips by themselves are a little bit underwhelming for how much they are and it sort of tears me apart that most of this stuff is mainly for fuses when they used to be somewhat useful. Maybe we can buff them a bit or make new 4G sets? Second question kind of piggybacks off of what ehoffey asked on their status update. Is it possible to create a sort of bounty system on the website? For example if I put up 50k MS and I want to be paid in 2000 Bad Fury Cards is that too redundant? I guess it could be since the reverse scenario is possible, but it's nice to have more options. ​Third question is about fortunes and Star Tears. 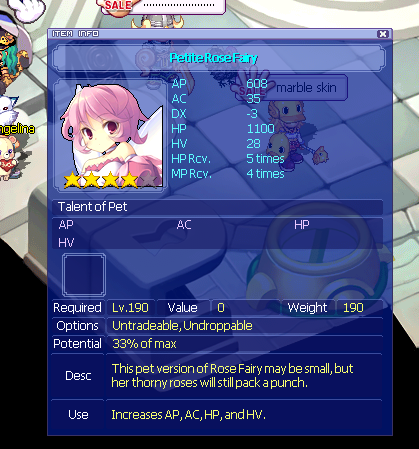 Is there a way to make an upgraded version of Star Tears? Maybe one that extends star power by a week or a month? I'm sure I'm not the only one who dislikes spamming lots of Star Tears. @[email protected] Honestly, I wouldn't mind paying for a title/effect per month or even permanently. 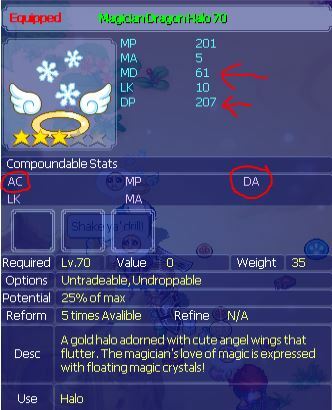 I know we promised to refrain from questions about adding new skills or buffs to help some of the weaker classes so I won't ask, but is there a way to make equips that are specific to jobs? That in itself could act as a buff to some weaker classes. Similar to the guardian stone accessories we get upon completion of third job, these equips could have some pretty hefty stats on them to bring them up to snuff with some of the other classes. Looking forward to the items in myshop for next patch! Edited by Mizzo, 03 July 2018 - 08:38 PM.